On March 3rd, Seedstars World will host a huge event in Lausanne Seedstars Summit, which will bring together more than 50 startups, key ecosystem players, inspiring speakers and seasoned investors. But I’d like to have your focus on Seedstars World Competition for seed-stage startups. Think of it as the final battle between teams from 55 countries, where they had won regional contests held by Seedstars World throughout 2015 across emerging markets with high innovative potential: Central and Eastern Europe, Asia, Latina America, Middle East and North Africa. At the final event in Lausanne, the best startups will pitch to win a cash prize of $500M, and 7 travel startups will compete for another half a million US dollars offered by the sponsor Lastminute.com, an online travel and leisure retailer. No equity taken in both cases! Virtual fitting room based on Texel’s 3D scanner technology. Dronee from Azerbaijan: modular drones with open software and hardware platform. Ecoisme from Ukraine: home energy monitoring system that detects every electric appliance in the house. Endurosat from Bulgaria: development of smart and affordable spacecraft for business applications and space exploration. Eye care plus from Armenia: eye-fitness and learning app. Fliiby from Serbia: platform for publishing and monetizing of digital content. 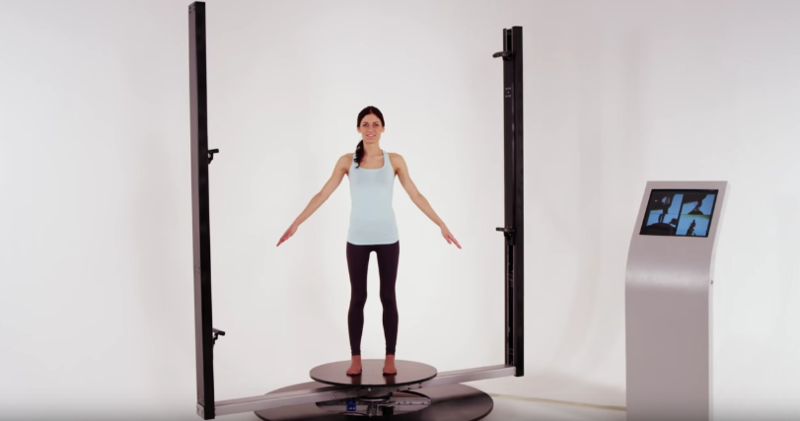 Texel from Russia: a 3D scanner patented technology allowing to create full-size 3D models. For instance, it can scan a human to create a virtual fitting room. Tickey from Bulgaria: mobile ticketing solution for public transportation. All the startups will be able to meet the representative of about 80 funds from Investor Club, curated by Seedstars World. Prior to joining GoalEurope Vita has been working in the IT outsourcing industry in a number of marketing and PR roles. Before that, Vita studied in the US at Bard College and worked in South Korea at SK Securities and the European Union Chamber of Commerce. Speaks fluent Russian, English and French.